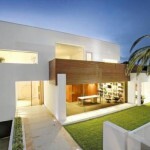 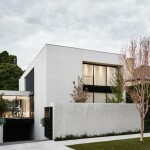 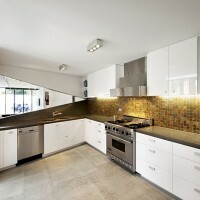 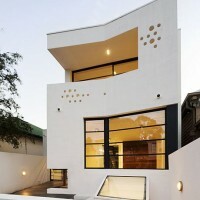 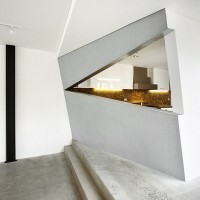 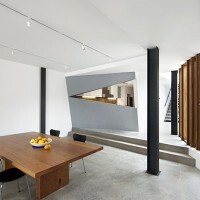 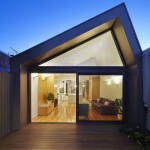 Nervegna Reed together with PH Architects designed the Prahran House in Melbourne, Australia. 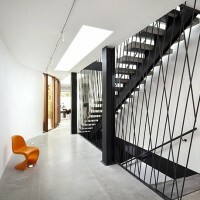 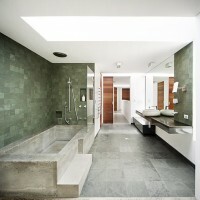 The client, an Art Gallery director, asked for a contemporary home on a narrow inner city allotment. 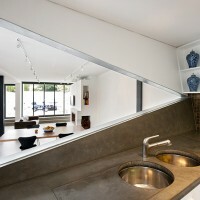 The house was to have two bedrooms plus an extra study that could be used for visiting artists to stay in, and was also to include a private subterranean gallery. 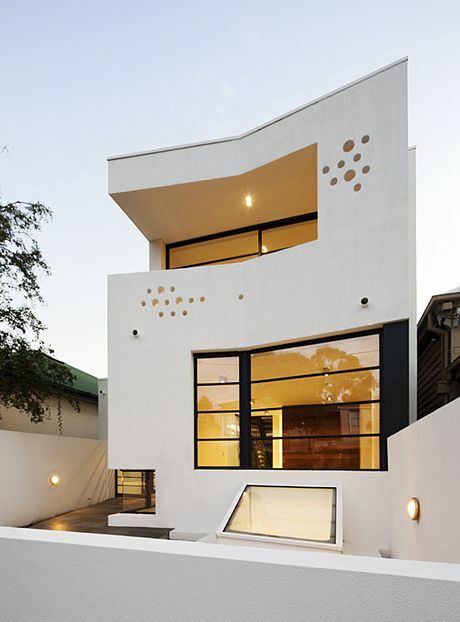 The house extends over 3 levels; the entry is on the middle, ground level, where all the living spaces flow around a courtyard, which is a slice of a circle. 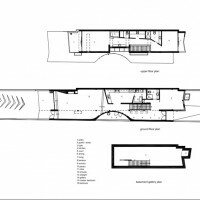 The dispersed placement of objects, materials and functions on this level works much like a layout of a pinball machine, each surface hinting at a multitude of possible routes that one could take through the building, sometimes encouraging a certain movement, sometimes not. 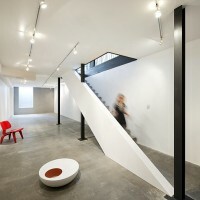 The front study with adjoining bathroom is for visiting artists. 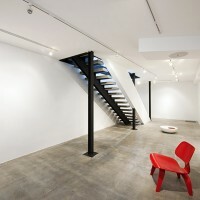 Downstairs is a basement gallery, indirectly lit by a concrete light shaft / skylight which also functions as a seat and a sculpture podium. 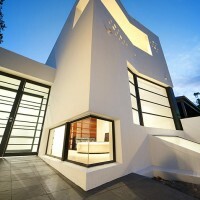 The house works a bit like a Rorschach test, enabling people to read into it what they like, whether it be a virtual image of a “?”, or a number “2” (the front of this house), or other architectural images which inhabit the surfaces and spaces.